Good morning, journalists, financial strategists and curious cash cats of the world. Time to wake up and smell the truthful aroma of a fresh report by Currency Research titled, 'The Case for Cash, Part One: Myths Dispelled'. This report re-examines 16 myths the common debates about cashin order to 'ensure central banks and governments have a foundation of sound research and public policy on which to base their payment strategies'. To offer a better understanding, the report looks closely at data from the European Central Bank, the US Federal Reserve, the Bank of England and the Reserve Bank of Australia as well as China, Turkey and Indonesia which 'echoed the upward march of currency' thus supporting the happy conclusion. 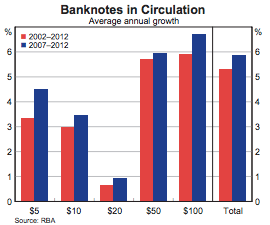 According to the RBA's latest report on banknotes, Australian cash in circulation was growing at 5% per annum in 2012 with a long-term growth rate expectancy of 6% but has since surpassed expectations with an increase to 7% in 2015-2016. Crikey! 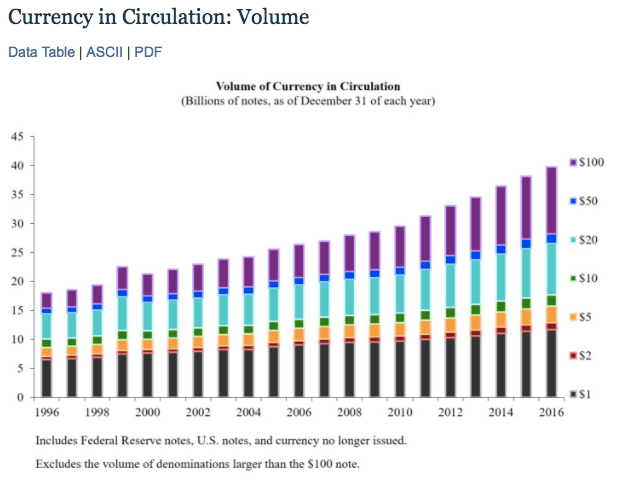 A mere two years later in the USA, the Federal Reserve predicted a continuing 'overall increase in the volume of currency in circulation'. And wouldn't you believe it? 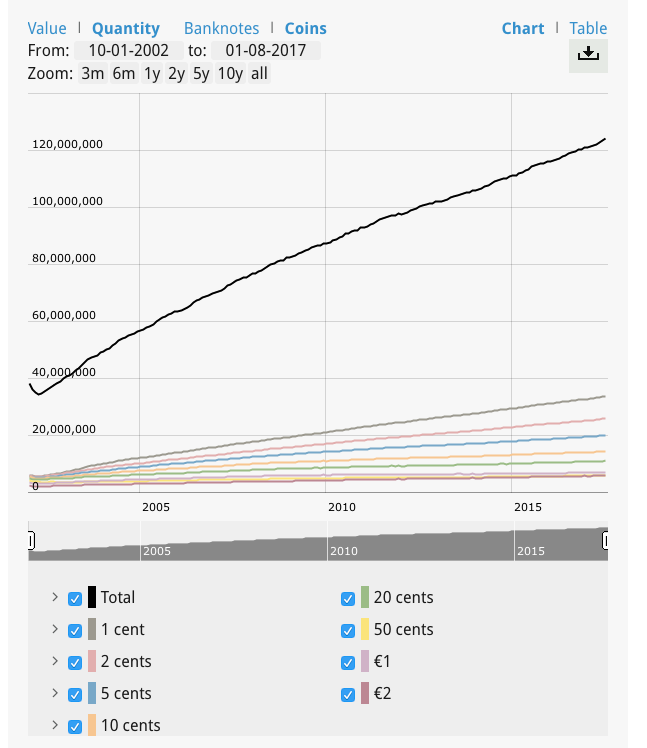 This expectation was also met as can be seen in the following table, which indicates non-stop growth of total banknotes in circulation from 2000 to 2017. 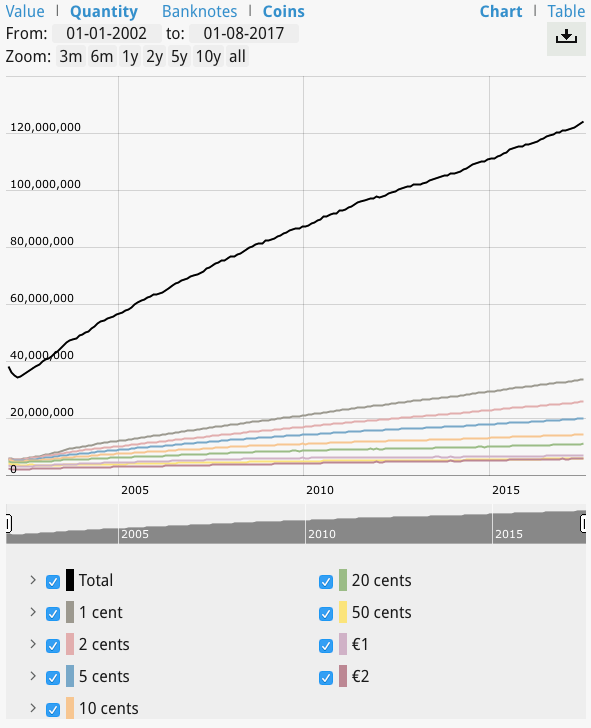 Similarly, the European Central Bank's data on the quantity of both banknotes and coins in circulation from early-2000s to 2016 show an upward trend. It appears that the transition to the Euro in 1999, the Brexit reverberations and the recent European Union proposal to cap cash payments have not caused a drop in people's undeniable demand for cash. Likewise, the United Kingdom has also seen a positive trend in cash production. In fact, the Bank of England's website published figures that 'clearly demonstrate that every indicator is up'. 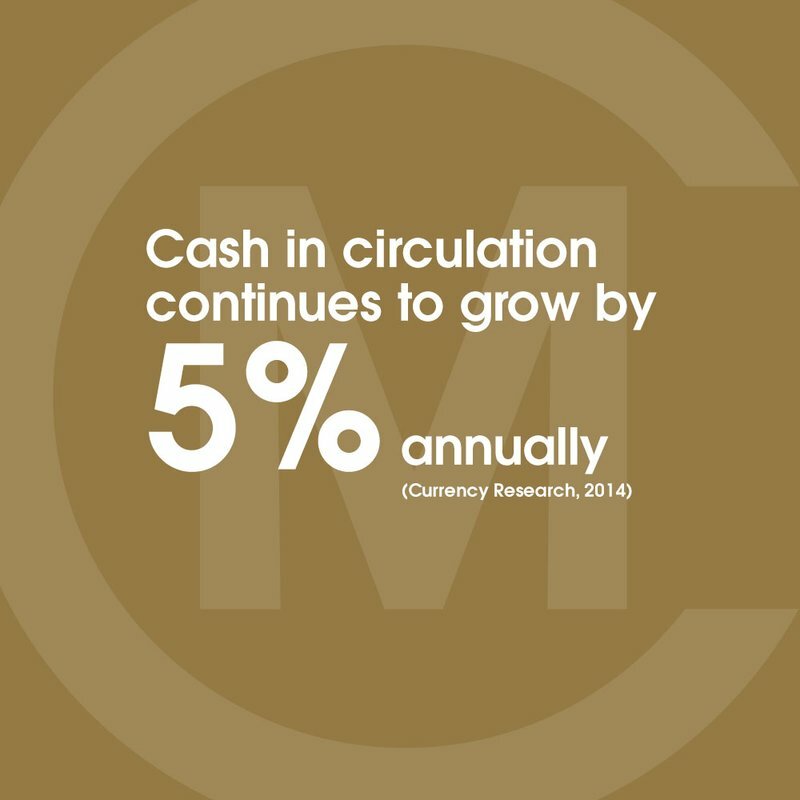 Despite geographic variations, global demand for cash continues to thrive. Currency Research. "Case for Cash Summary Report." Currency Research, 2014. Accessed July 20, 2017.